Thank you. We will let you know when the Fact Sheet is available. The peloton of the Tour de France has no time to enjoy the beautiful valleys and mountains of the central Pyrenees, or its authentic villages, great places to stay, and interesting regional cuisine. 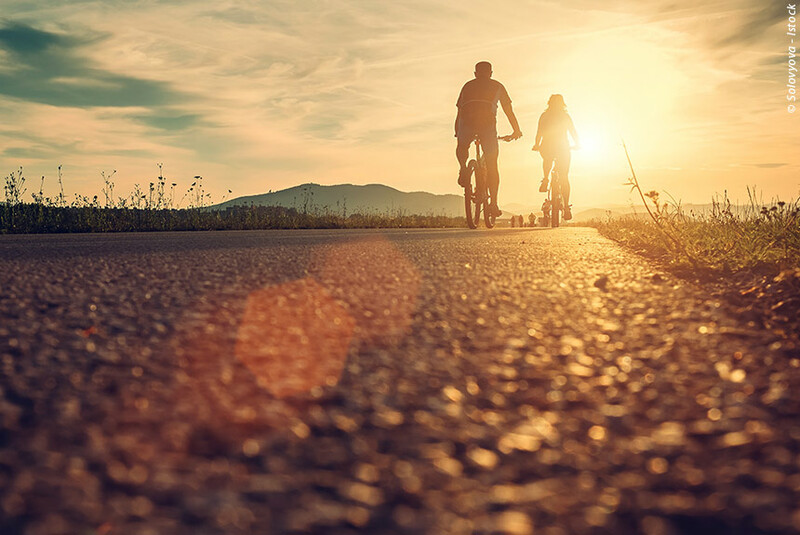 You will share their cycling challenges with the not insignificant help of e-bikes and travelling at your own pace, then be able to relax each evening in a way they can only dream of. If you love cycling and you love a challenge, but are not superhuman, this is the holiday for you - and one you will remember for all the best reasons. The Tour de France's days in the Pyrenees are the most challenging cycling in the world. 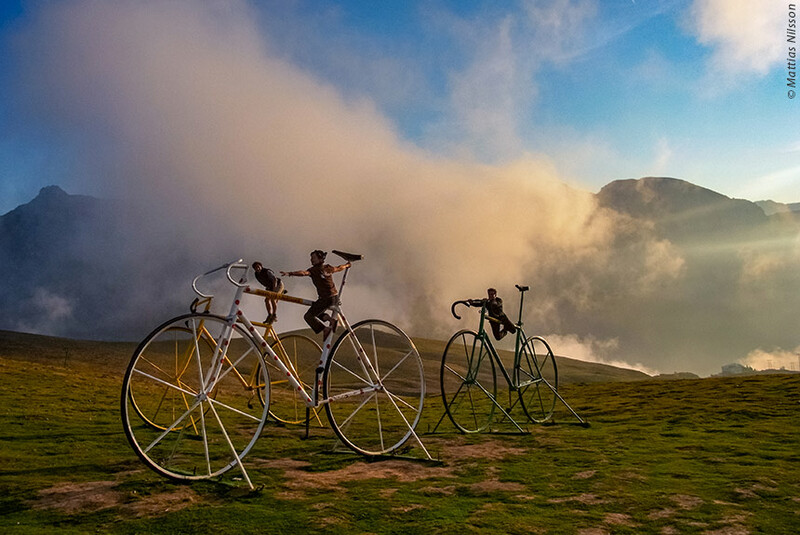 Now imagine you breezing up the Col du Tourmalet with a big grin on your face as you reach the summit of the Col d'Aubisque. 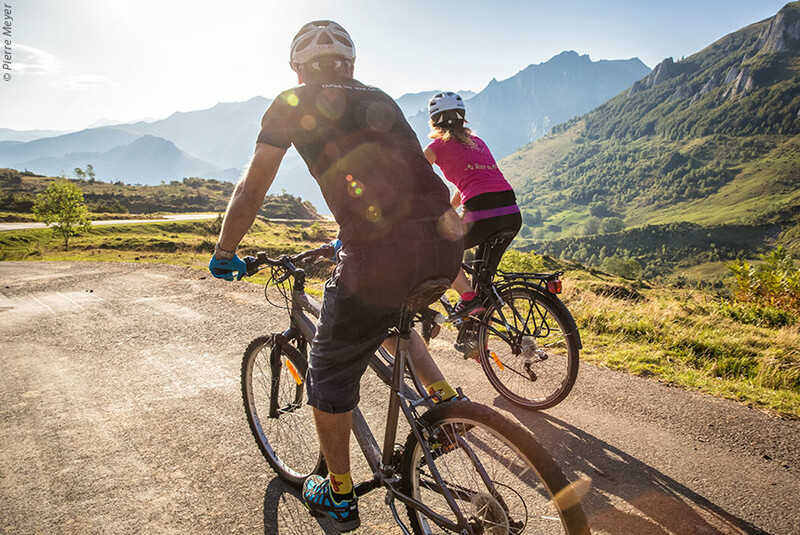 You can now enjoy the most interesting and famous sections of the Tour de France route with the help of an electric bike - and Purely Pyrenees, the leading walking and cycling tour operator in the Pyrenees. Yes, you have to keep pedalling, but slowly and steadily. Yes, you will have the time and energy to enjoy the iconic mountain scenery, the green unspoilt valleys, the attractive villages, the warm welcome every evening at your hotel. Yes, you will have cycled the same route at Wiggins, Froome and Thomas. No, you don't have to tell everyone it was on an electric bike, unless you want to. But if you are up for a real cycling challenge that is possible for those of us who are not superhuman, this is it! The holiday begins at your first night's marvellous accommodation in Marsous in the scenic and unspoilt Azun valley (the home of Purely Pyrenees as it happens), but for a supplement we can collect you at Lourdes airport or rail station for the 30 minute transfer to Marsous. We love Maison Sempé, and we are confident you will too. Firstly, it's in the magnificent Azun valley. Secondly, it is a 17th century stone building with bags of character including a magnificent wooden staircase, panelled walls, lovely bedrooms, and views of the mountains. Thirdly, there are your most hospitable, interesting and English speaking hosts, Sylvie and Jean-Paul, who ply you with authentically regional dishes, home made digestifs, jams and home baked bread. This is what chambres d'hôtes are all about, and it will be your home from home for this holiday. Transfer time (optional): 30 minutes. So: you do the cycling, we do the rest. On this first morning, your electric bikes are delivered along with a cycle helmet, tyre repair kit, cleaning equipment, maps, detailed directions, and GPS tracking if you want it. We take your luggage to your next accommodation, so you only need carry a daysack - we supply picnics on cycling days. We also have a 24/7 English speaking service, and a support van available should you need one for whatever reason. Having been introduced to your bikes, and everything else, you are free to explore for the day - we'd recommend the delightful lac d'Estaing, but do ask Sylvie and Jean-Paul as they have an encyclopaedic knowledge of the area. You'll be pleased - we are sure - to be staying a second night at Maison Sempé. Right, it starts here! A glorious 22 mile route that first takes you on the Tour de France route gently up the side of the Azun valley via a series of bends and switchbacks to the famed col du Soulor. They can't, but you can, stop to enjoy the magnificent views south across the Pyrenees into Spain, including the eternally snow-capped 10,200 feet Balaïtous, and north down the Pyrenean foothills to the Pau plains. 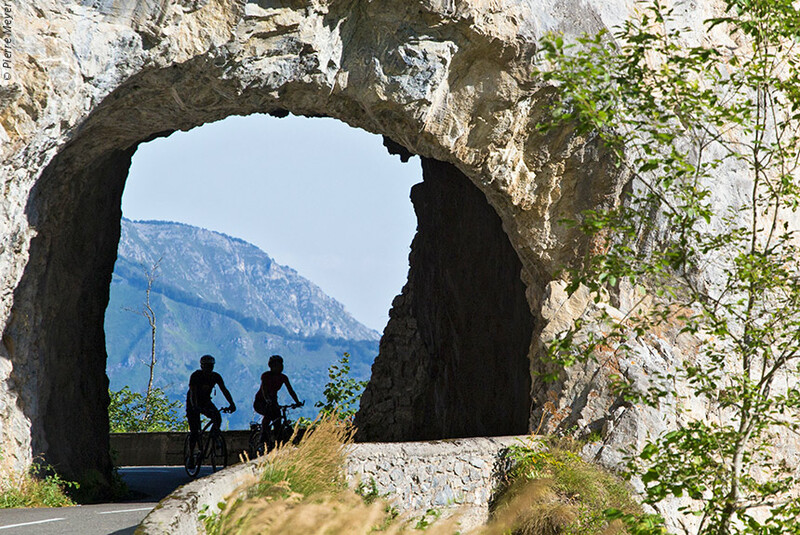 You then cycle to the equally famous col d'Aubisque via a superb corniche road where you can stop to enjoy the exceptional panoramic views to the isolated skiing village of Gourette, and the lovely Ossau valley, renowned not least for its traditional farmers' cheeses. Thankfully, there's then a long, swooping descent into and across the Ossau valley to Laruns before a final climb up towards the col de Marie-Blanque. We think you'll agree that was something special - and it's only the first cycling day. L'Arrajou is delightful and high quality chambres d'hôtes in a house that is most like a Swiss chalet in a privileged position with amazing panoramic views, yet close to the mountain village of Bilhères - well worth a stroll around. For sure, you'll get a stylish room, good food and genuine hospitality. Distance: 22 miles. Elevation: + 1800m / - 1600m. Less up and down altitude today, so a longer distance, but no change in the superb cycling and magnificent scenery made all the more enjoyable knowing that a gourmand experience awaits you in the evening. The first mile or so is a fairly steep climb (made so much easier by your e-bike) until you reach the Bénou plateau with its Alpine meadows, stone barns, pine forests, and, dominating everything, peak after Pyrenean peak. 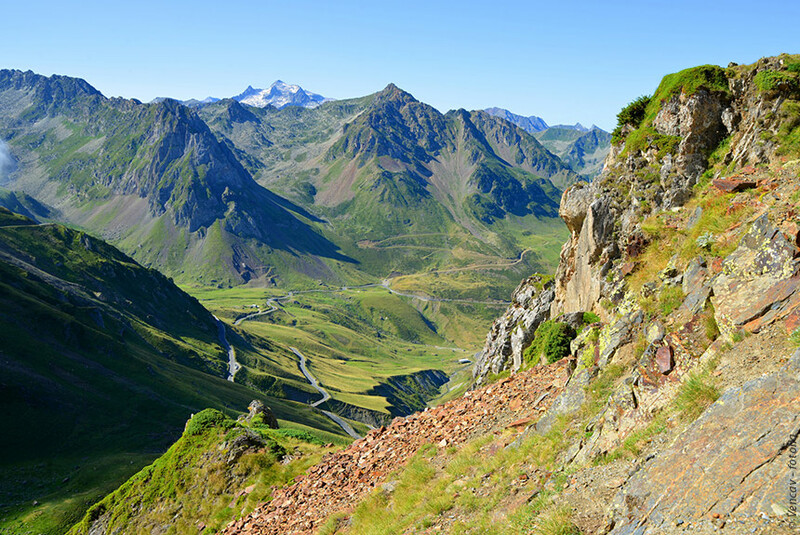 From the col de Marie-Blanque, you decend into the Aspe valley, one of the most attractive in the Pyrenees (and in our view anywhere in Europe), partially shaded by the lovely Bager woods, before crossing the Ossau river. From there you make your way back into the Ossau valley (just a few hills to keep you fit) to arrive near Sévignacq-Meyracq for the night. If you've got aches and pains, this is the place for you - for hundreds of years (not least when it was fashionable in the 19th century) people have come a long way for the thermal baths with its supposed cure (at least relief) for rheumatism. Today, there's also a nearby spa. If you're in need of comfort, this is the place for you: traditional and contemporary, stylish yet authentic, this is a great place to stay. If you're in need of a good meal, this is the place for you with its restaurant much more famous than its accommodation thanks to chef-patron J P Paroix, his mother and their family farm. We need say no more. Distance: 31 miles. Elevation: + 800m / - 1150m. Today, you begin by exploring the lower altitude pleasures of the Bearnais - once the hunting grounds of English monarchs and aristocracy, now truly French in culture and character as the facts that Bearnaise sauce and the Musketeer D'Artagnan is said to come from here. It has a beautiful foothills landscape with woods, valleys, rivers streams, small villages and large panoramas up the the Pyrenean peaks. Great cycling country too: quiet roads, easy cycling, plenty of places to stop whether for photographs or coffee. 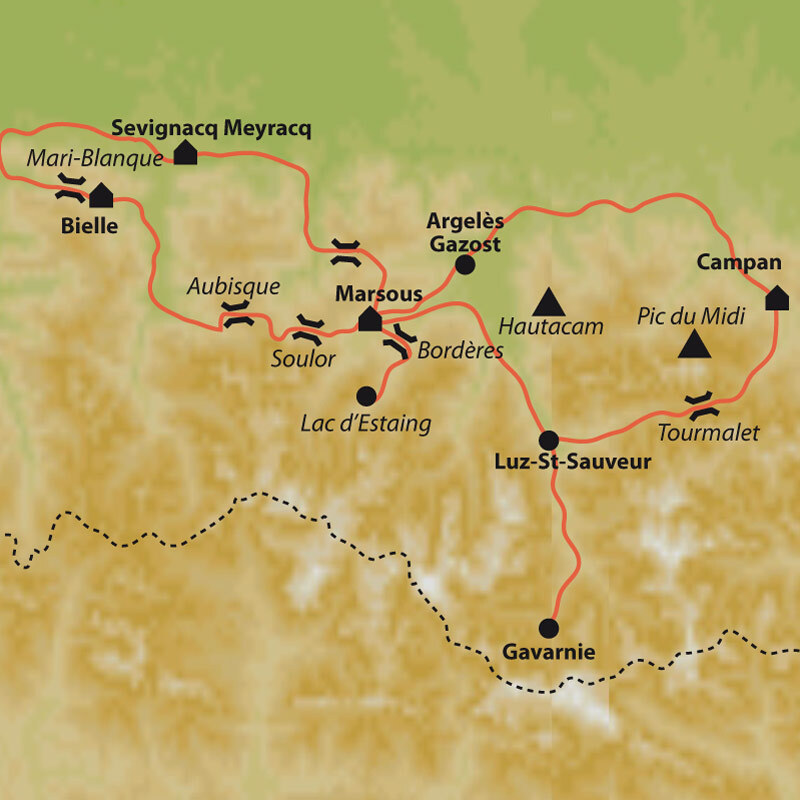 Your route loops back to the Azun valley, and you can choose a longer lower altitude route, or take one of two cols up and down into the Azun valley, the col des Spandelles being what the French call "sauvage et sportive", and we would describe as challenging, seriously challenging. A very good day's cycling, though, whichever route you choose. It will be a pleasure to be back with Sylvie and Jean-Paul at Maison Sempé, and we expect you'll have plenty to tell them. Distance: 40 miles or 30 miles. Elevation: + 900/1600/1800m / - 400/1100/1300m depending on the route you choose. This is a wonderful day's cycling that positions you ready for the ultimate col du Tourmalet ascent tomorrow. You begin by gently descending down the Azun valley to Argeles-Gazost (an unpretentious but attractive Pyrenean town that rewards a stop for a stroll and a coffee) before enjoying easy cycling along the banks of the Pau river ("gave"), then discovering the lesser known delights of the unspoilt Castelloubon valley with its traditional villages like Zoum sur Ouste and Ossun-es-Angles, its churches, oratories and roadside crosses, its rolling hills and tumbling streams. You then come into the Adour valley reaching Bagnères-de-Bigorre, which despite its violent history (conquered by Julius Caesar, vandalised by Visigoths, destroyed by earthquakes) is a peaceful town renowned for its thermal baths. From there, it's all up hill, but, today, only as far as Sainte-Marie de Campan - visit Notre-Dame-de-l'Assomption, and discover what mounaques are. The three star Hotel Chalet is superbly located, well managed, and has recently been completely refurbished resulting in bedrooms and restaurant (good, hearty food) that are a real pleasure to be in. There are also terraces to relax on, and a tennis court and covered swimming pool to be active, but everywhere there are Pyrenean peaks all around you, not least the magnificent Pic du Midi de Bigorre. Distance: 36 miles. Elevation: + 850m / - 750m. It's finally time for the Col du Tourmalet, but first we'd strongly recommend taking the cable car from La Mongie upto the observatory on top of Pic du Midi de Bigorre. At 9,350 feet, the views are simply staggering, and you really do feel on top of the world. It's now just a few dozen zigs and zags to the almost 7,000 feet summit of the col. Thank goodness for that extra e-bike help! Your rewards are the self-congratulatory photographs, the panoramic views, and the wonderfully effortless - and pleasingly long - descent down into "Pays Toy", and the once royalty-favoured thermal spa town of Luz-saint-Sauveur. Your final section is along your old friend the Pau river before passing through the pretty village of St-Savin (atmospheric abbey), and along the Azun valley to Maison Sempé for a final time. However, you can alternatively (with a supplement) ride up to the UNESCO Heritage Cirque de Gavarnie, and stay in a three star hotel nearby. Either way, a great way to end a great holiday. It's hello and goodbye to Sylvie, Jean-Paul and Maison Sempé unless you choose the Gavarnie option. Distance: 41 miles. Elevation: + 2,050m / - 1,950m. The holiday ends after breakfast in Marsous (or Gavarnie), but for a supplement we can take you back to Lourdes airport or rail station. 15 May to 15 October. The holiday begins in Marsous, but for a supplement we can collect you at Lourdes airport or rail station for the 30 minute transfer to Marsous. The holiday ends in Marsous, but for a supplement we can take you back to Lourdes airport or rail station. This holiday features some challenging climbs, but they are made much easier by e-bikes. However, this particular cycling holiday is best suited to people who are reasonably fit, and used to all-day cycling. We offer other holidays that are based on much more comfortable cycling than this one. It can get fairly hot in July and August (but nothing like as hot as the Mediterranean) as well as a little more crowded. We would recommend from mid May through June, and from mid August through September as the best months. We transport your luggage for you, so all you need to carry when cycling is a daysack (or put it in your pannier) with whatever you regard as essentials, and your picnic. This is an independent, unguided holiday so you can travel at your own pace. 5 nights in high quality chambres d'hôtes; one night in charming rural hotel with a gastronomic reputation; one night in a three star hotel. Dinner bed and breakfast is included for each night. You need to keep your passport with you at all times, and ideally insurance information. You need to make your own arrangements to claim local healthcare. There are requirements in France (and Spain) for all vehicles to carry safety equipment. Electric bikes delivered and collected; cycle helmet; tyre repair kit; bike cleaning equipment; maps and detailed directions; GPS tracking if you want it; luggage transported; 24/7 English speaking service; support van should you need one; dinner bed and breakfast each night. Transfers at the start and end of the holiday; picnics,drinks with meals; lunches, non-standard menu items; entry fees; personal and travel insurance. All our cycling holidays "Heart of mountains"